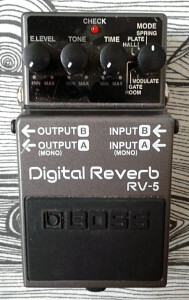 Boss RV-5 Digital Reverb. Made in taiwan, june 2008. 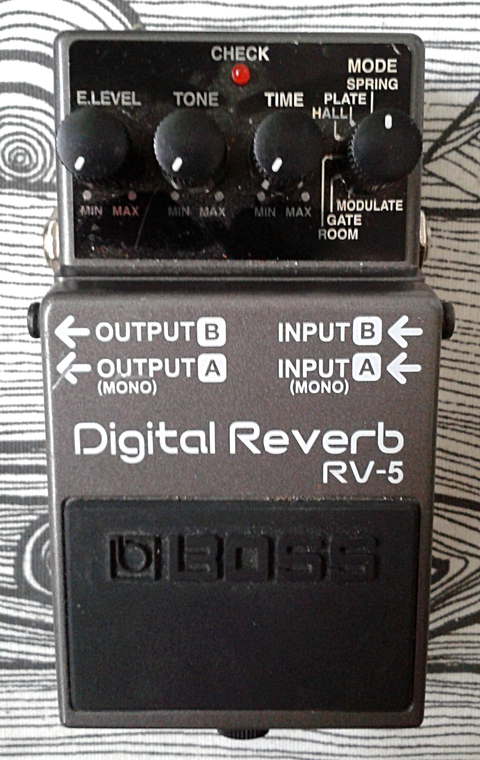 So the Boss RV-reverb line keeps getting duller as it goes further. 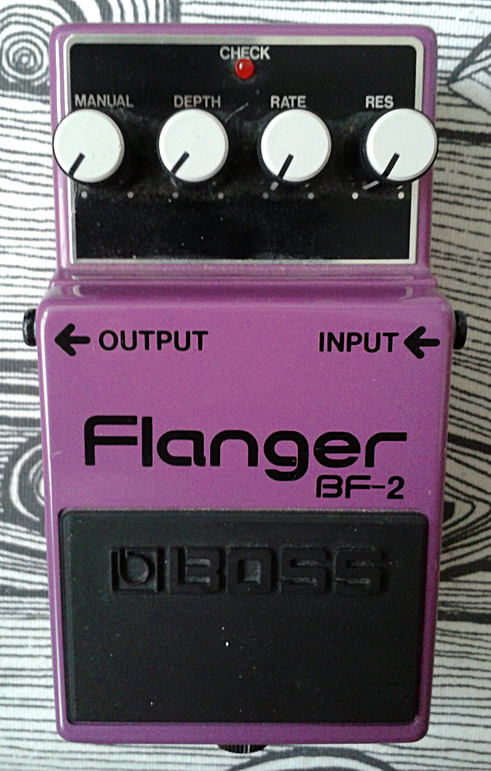 Can’t help but to compare this to RV-2, which was ground breaking pedal in many ways. 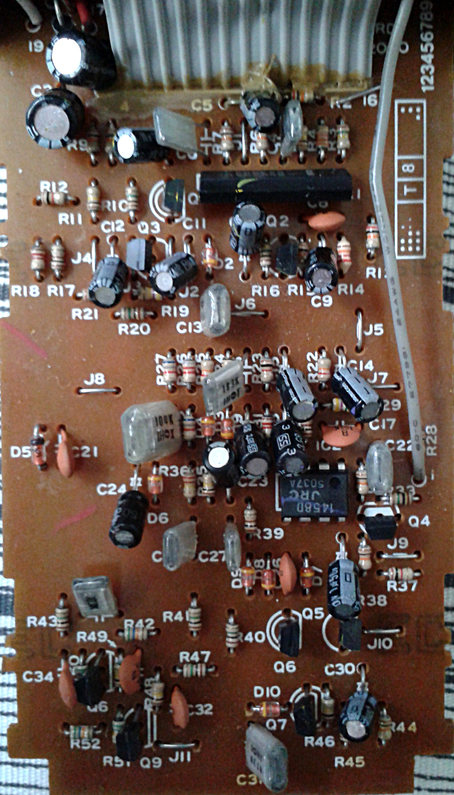 First off, the RV-2 was the first compact digital reverb ever produced. Second, the design had some real ingenuity in it. RV-2 has gained its status with its impressive, hard work from the design department, while making things that previously were impossible, possible. Sure it was costly effect to produce. So it was replaced with RV-3, which offered more options by having delay settings. Delays are just simplified reverbs without the vast number of stacked repeats, so adding delay modes wasn’t too big of a deal. It did add to versatility a lot, but while it gained high number of supporters, it still couldn’t touch the original RV-2’s status. Apparently RV-3 got too expensive to manufacture as well and it got replaced by RV-5 in 2002. RV-5 was apparent attempt to recreate the feel of original RV-2, instead of clinging on to multi effect-like feel that was the thing with RV-3. 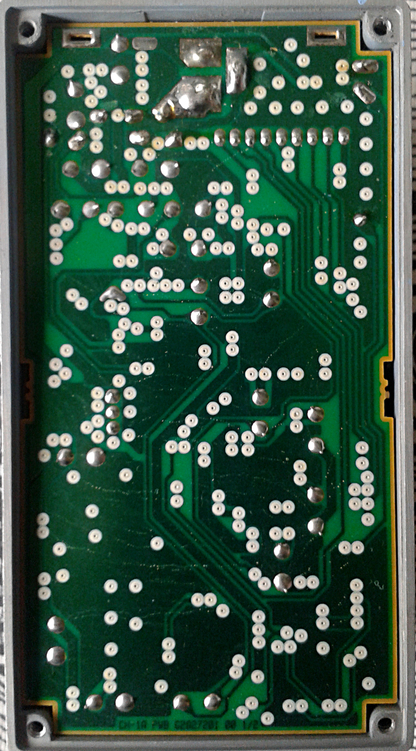 Opening the box up shows a side of the board that makes me wonder if they were attempting a Guinness world record for number of vias on a compact pedal with a single PCB. 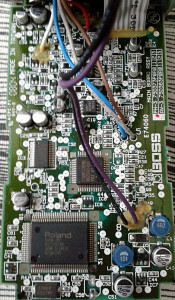 The other side shows couple of dual opamps for buffering and mixing, but the effect itself is just a Boss branded DSP chip. Also note the two crystal clocks. 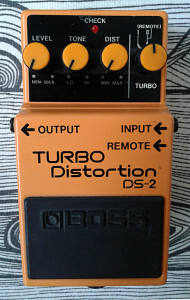 Even though this looks like an elaborate and neat design, the same DSP is circulating for other Boss effects too. Which means that the pedal is pretty much the same as twenty or more other pedals in the series. Only the code for the DSP is different. 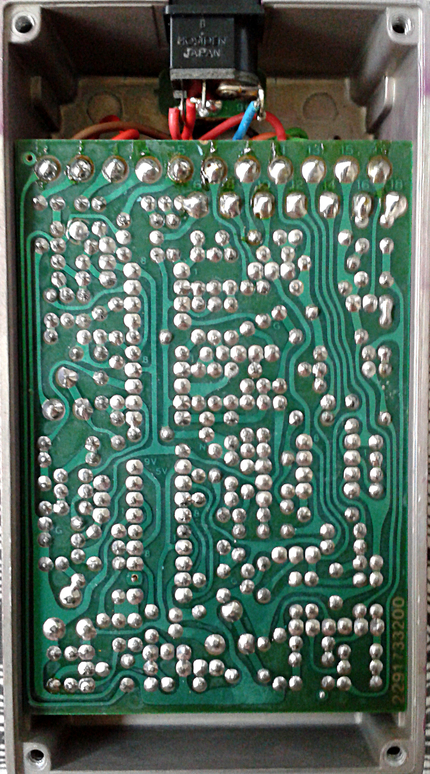 The thing that gives me the only real feeling about the board is the “Cheer Time” text on the silk screen layer of the PCB. As the features go, there are six modes of reverb, including digital modelling of spring, plate, hall, gate and room reverbs. 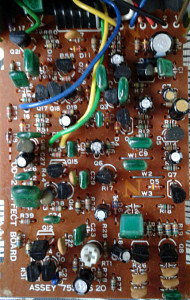 Sixth mode is “modulate” which adds a sort of chorusey feel to the reverb. 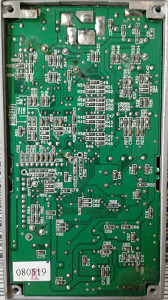 Other controls are E. Level, which mixes the clean signal with processed one. 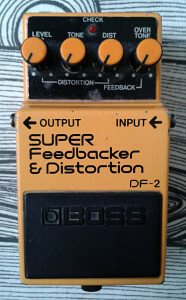 Tone, which can be used to cut some highs so user can try to mimic more vintage sounding units. And finally Time, which sets the decay time for each mode. This unit is also built for stereo in and out, so it has more uses on the studio desk than many others that are simply meant to be run with a guitar. 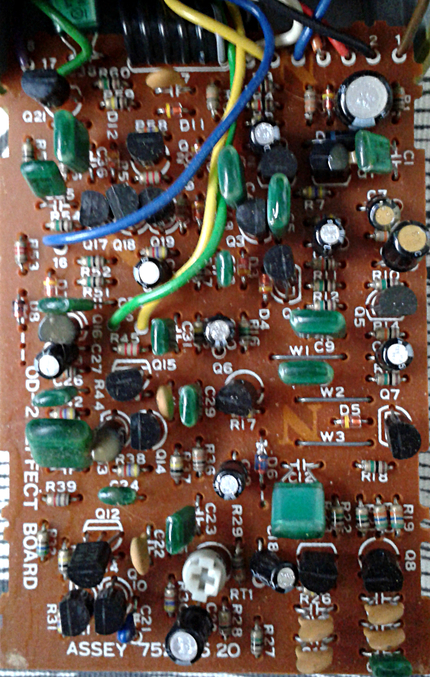 The frequencies are kept well in tact, so this reverb works quite well with all the instruments. We could call it full range device. Not sure if that is too official term, but since it’s not cutting your lows or highs to audible degree..
Like all Hi-Fi digital reverbs. Even though it gets the job done with flying colors, the amount of lacking personality and individualism is higher than on most tasteless and scentless sounding pedals. All the way to the degree where i would go so far and call it boring. 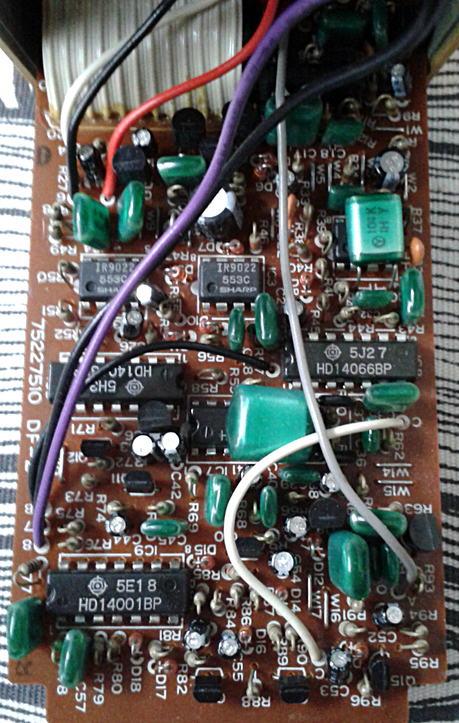 While it is one of the most boring guitar reverbs i’ve ever played with, it’s not that bad. Where the digital design was still rocking in its cradle when the RV-2 was released, that also meant that the deficiencies in that unit turned out to be the strong parts. RV-2 is not a supr dull Hi-Fi device, but great reverberator for folks who want to sound like themselves by adding certain rough edge to their sound. RV-5 does not give you any edge. It works as a reverb and it works well. It has no personality and it has no edge. But it works. In reality, this unit will serve a lot better as a vocal reverb used in the inserts of a mixing console than what it can do with a guitar. More modern technology doesn’t always add to to better sound. 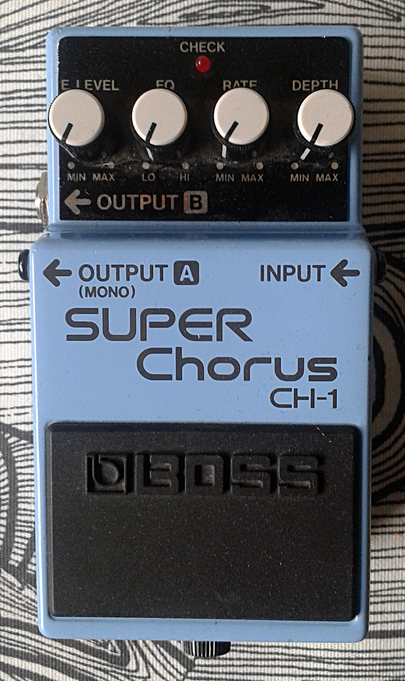 Boss CH-1 Super Chorus. 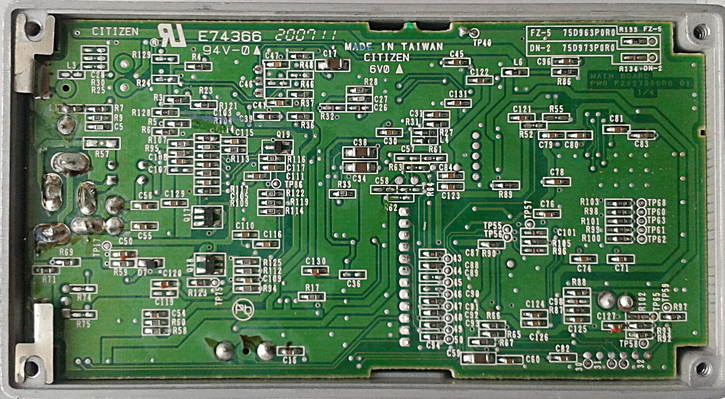 Made in taiwan, november 2001. At one point i woke up to a feeling. 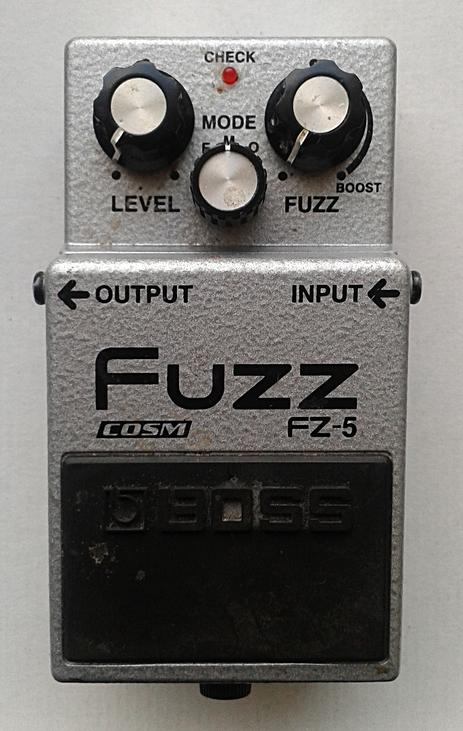 I had tons of effect pedals, but zero Boss brand choruses. 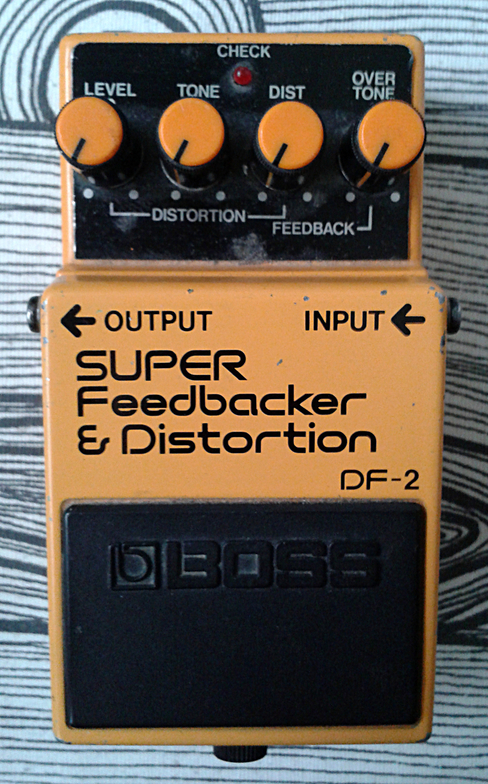 That felt extremely weird, as these effects in Boss catalog are usually praised pedals. So what was i to do, bet to get me some. First i scored a CE-3 stereo chorus through auction site listing (i’ve talked about that unit earlier on..) and second, i grabbed this one as used from around here. 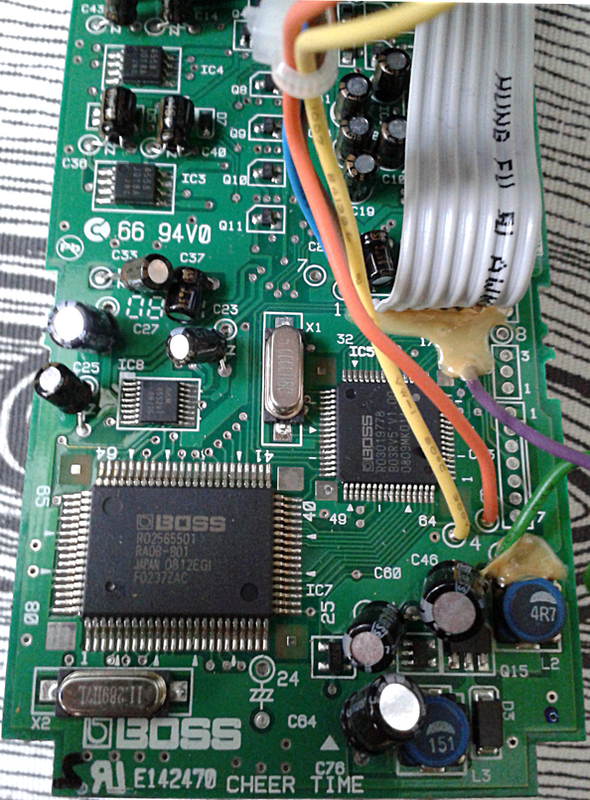 As usual, i checked the serial number against the Bossarea decoder and checked some facts about the design as well. What do you know. Just my luck. 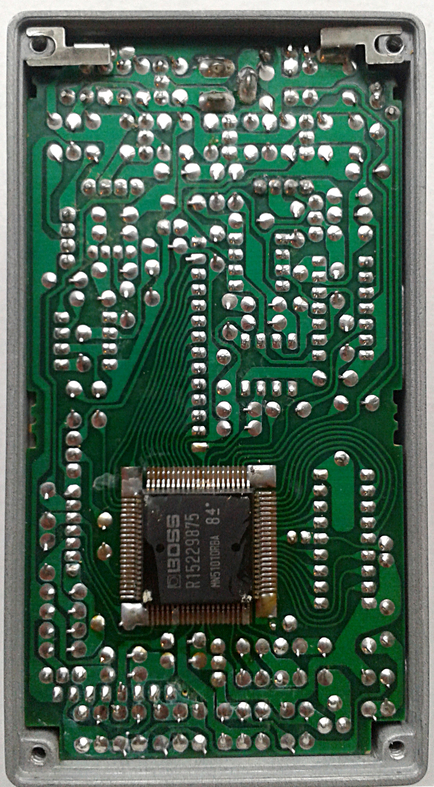 This unit is one of the very first CH-1s to exit the factory with newly revamped SMD board inside. Just a month older, and it would have been the one with a pink label and a MN3007 as a powering BBD. 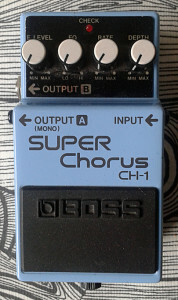 The original CH-1 was apparently a derivative of CE-2/CE-3, with added blend/mix control and a tone control, which allowed the user to set the audio frequencies processed by the chorus. But since the changes between the old design and this one is pretty huge, i honestly wonder why this wasn’t marketed as CH-2? The changes would have definitely warranted that. But then again. 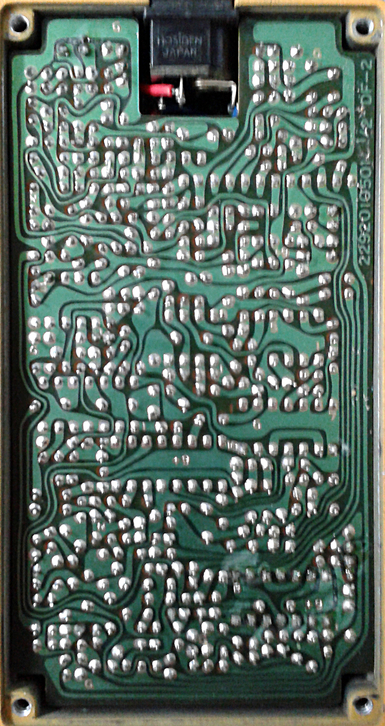 We have DD-2 and DD-3 delays which have the exact same circuit inside, but for some reason the model number was changed. Peculiarities are sometimes fun, but… Everything about the design look even newer than the actual manufacturing date, but i guess that’s to be expected. 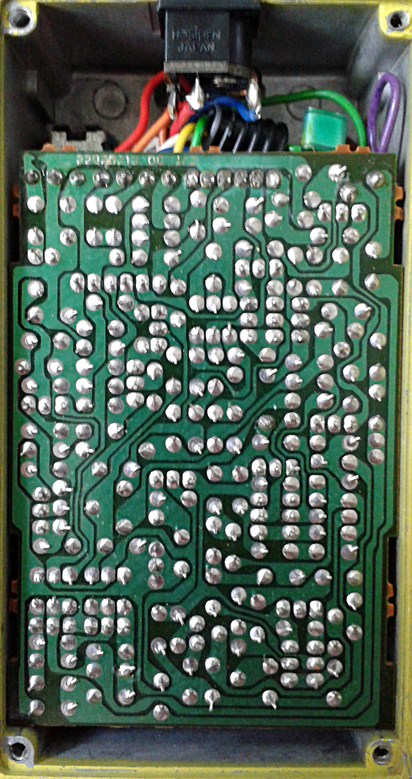 At the first look the board looks a bit like just SMD version of the original. 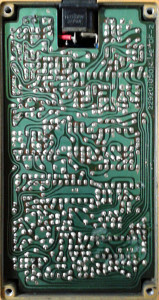 We do know that DDBs come in surface mount packaging too. 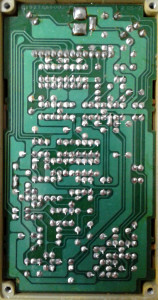 And the long chip could be a CMOS chip to handle the electronic switching. But no. Closer look revels that there aren’t any BBDs present. 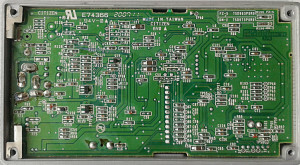 Just a digital 20K Itri Erso ES56028 echo processor chip. I haven’t had a pleasure of comparing this against the previous version. I highly doubt these two sound anything alike. At least the delay line is different enough to warrant this assumption. 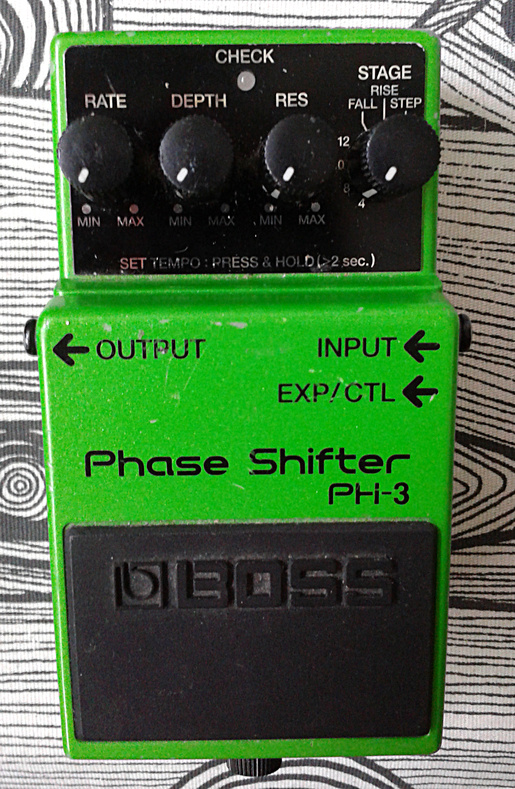 Boss PH-3 Phase Shifter from compact series. Made in taiwan, april 2008. 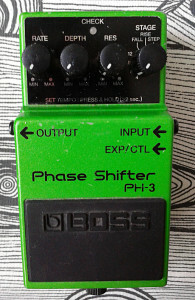 PH-3 marks a very first digital phaser in the Boss catalog. All the previous ones, released before the year 2000, were more like all standard phasers from any other manufacturer – BBD based analog phasers. 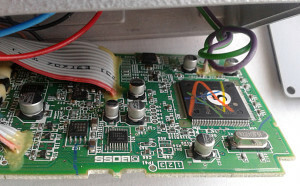 PH-3 introduced couple of quite innovative modes to the world. 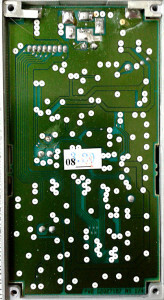 Basic modes are digital recreations of four, eight, ten and twelve staged phasing. 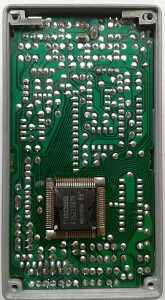 Modes that were next to groundbreaking at the time of release are rise, fall and step modes. Rise and fall modes are also known as barber pole modes. Step mode sort of randomizes the sweep, resulting in unexpected phasing sweeps. See. The new ideas on this one were so exciting that i simply skipped my normal pattern and ran straight to the features. 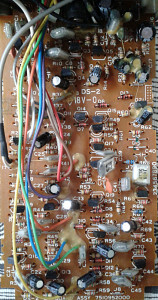 Getting back to basics.. Board bottom looks like something that i haven’t seen in the compact series before. 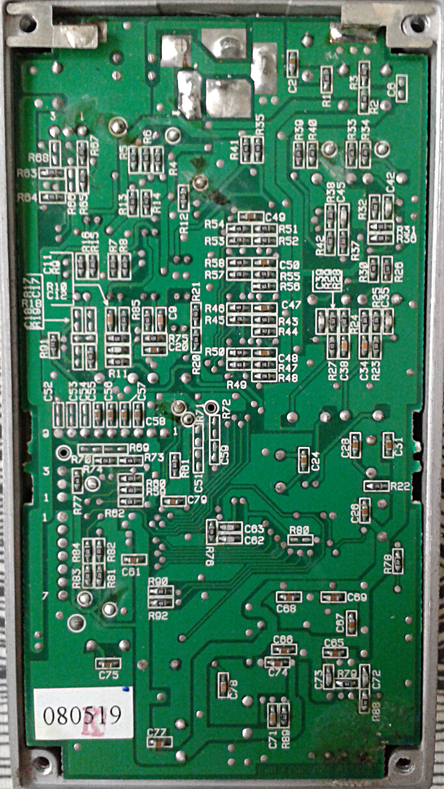 All components are on the other side and the second side traces and vias look modern, but still quite new to me. 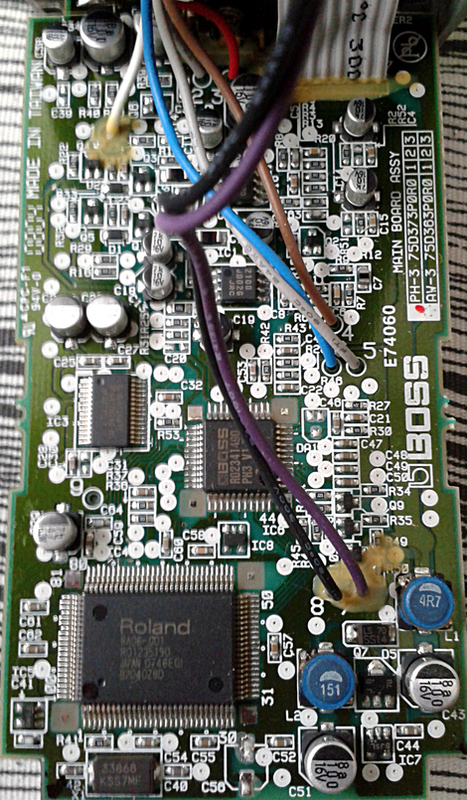 And once we flip the board over, we’ll have Roland branded digital signal processor. 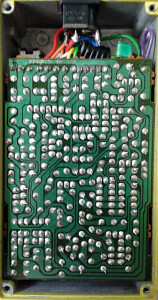 There’s a schematic floating around at Photobucket. 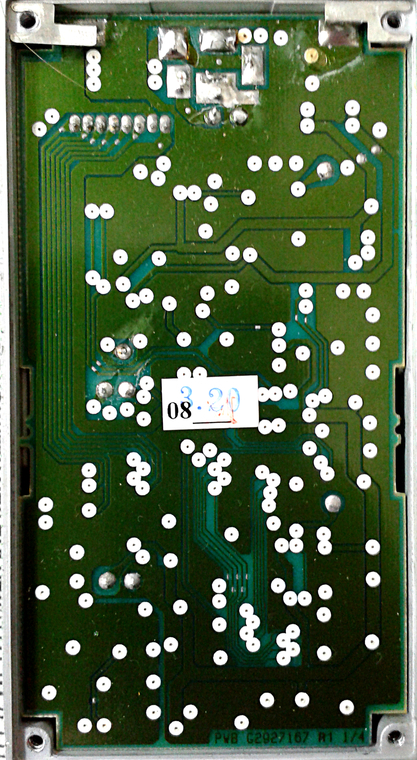 To sum the design, there are analog buffers at the input and output. Connected to the mixing amplifier is the AD/DA converter chip. 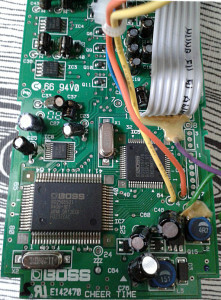 Which is then connected to a DSP and a CPU running at 4.233MHz. In retrospect, a slightly faster processing speeds than what we’ll find in Super NES. Sure, i’m psyched about the geekiness of the fact. Way more than by the design itself. Can’t help myself. These computer-like pedals can offer some reasonable tones and sometimes even something completely new. Still i’m left cold and somewhat bored by the designs. It may be just current me talking, but analog designs are the ones where the real magic happens. I see little value for a VST plugin in a stompbox. This stance may change someday. But i’m fairly certain that day won’t be any of the 365 days of 2014 or 2015. 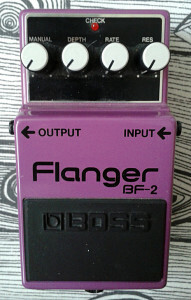 Like most well designed/programmed pedals of the modern, digital world. These things get the job done without degrading the guitar’s sound too much. Actually, little enough to go unnoticed. The modes are new and exciting addition to the pedal sounds people crave. Even though it sounds good and the old school modeling modes also sound good, there is something missing. 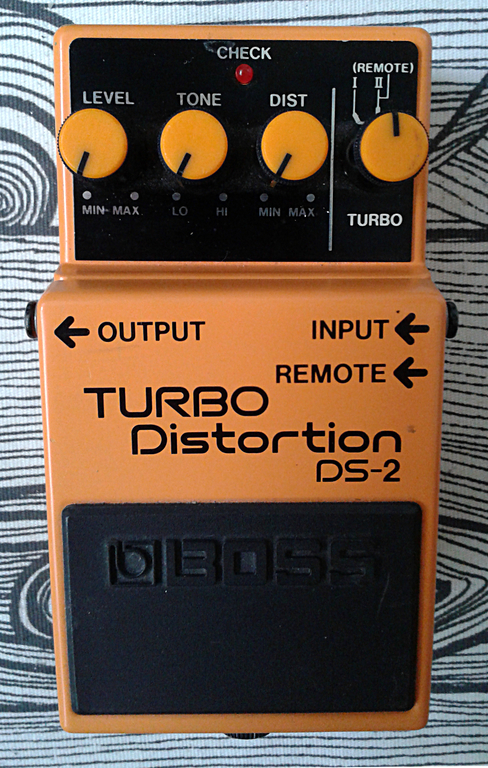 It just doesn’t feel like a guitar effect.It feels a lot more like a generic studio tool. Exactly like a VST plugin in a stompbox. Nice thing to play around with. But. Pre 2000 Boss effects are more my cup of tea. 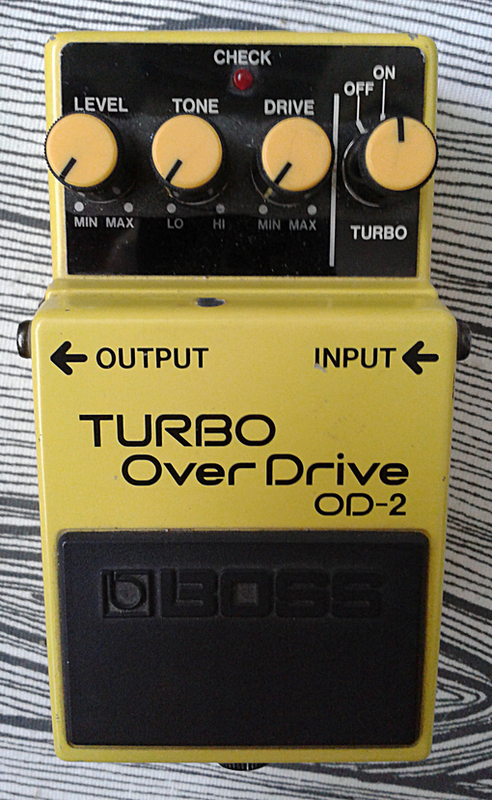 Boss OD-2 Turbo Overdrive from Boss Compact series. 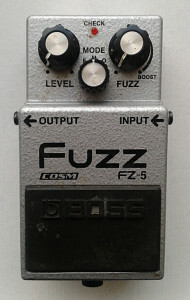 Made in japan, march 1986. The OD-2 was apparent attempt to create a follower for the classic OD-1 which already had a vast user base with lots of hype going for it. 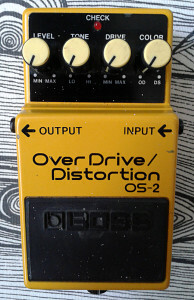 In all its simplicity, the OD-1 was pretty much Boss’ venture to kill DOD OD250 and MXR Distortion. Ẃhile it may not be as widely recognized as its older competitors, it’s still a cult classic. And for a reason. 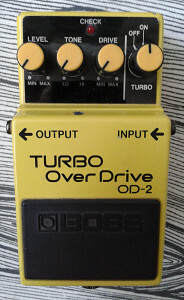 The original Turbo Overdrive was manufactured from 1985 and it got replaced by OD-2r in 1994. 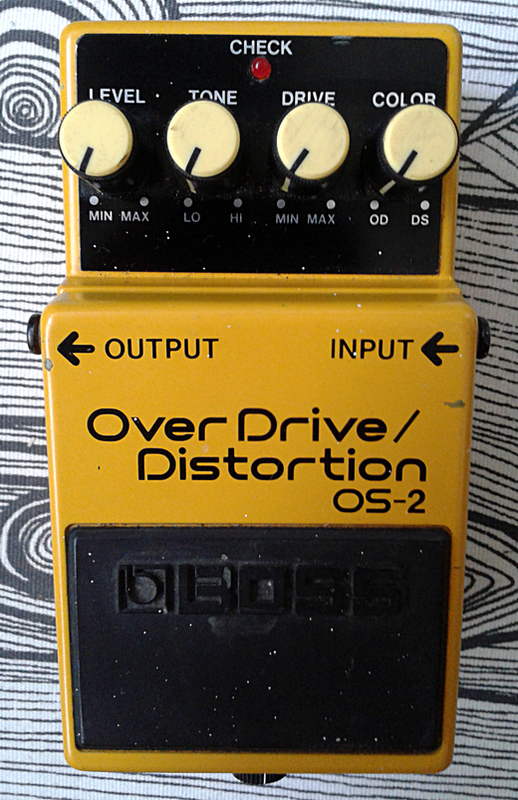 OD-2r is supposedly the same effect as this one, only with added remote switch jack for the mode switch. So creating a follower that would sell well and be as recognized as its predecessor wasn’t a simple task. And this is what the Roland/Boss engineers came up with. 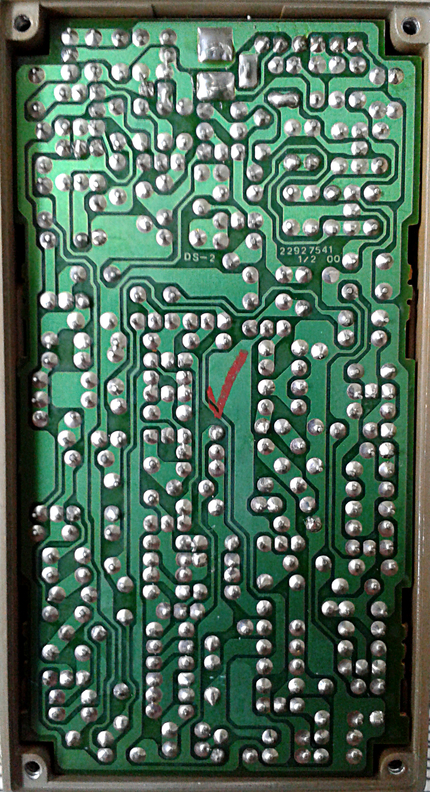 The board is pretty crowded and it has the feel of the old japan designs. First thing that you’ll notice is that there are no opamps or any other types of integrated circuits in there. 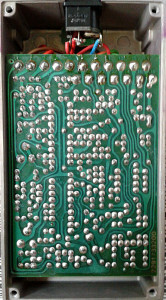 Once again, there is very comprehensive and good page dedicated for this circuit up at Hobby-Hour.com. 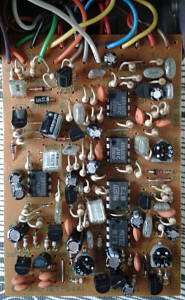 The page has a schematic and a semiconductor listing available. 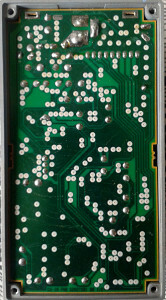 There are three gain stages, each made up with two JFETs and one PNP BJT. 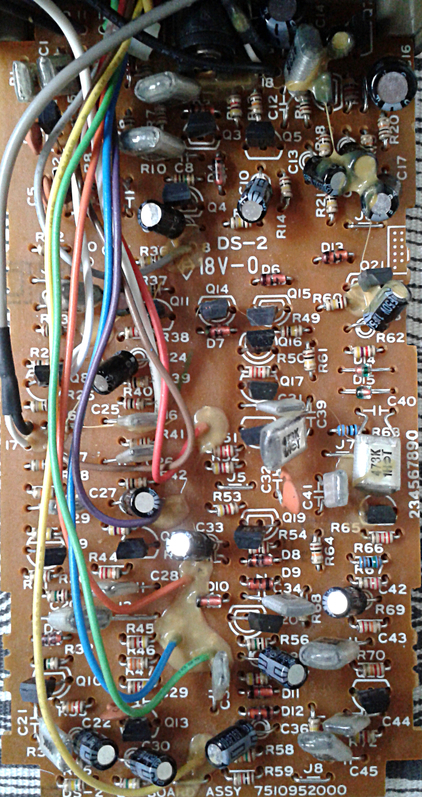 Not completely unlike the “discreet opamps” we seen in some designs (the BD-2 blues driver to mind at first…) The gain pot is dual ganged and controls the gain factor for two of these gain stages. 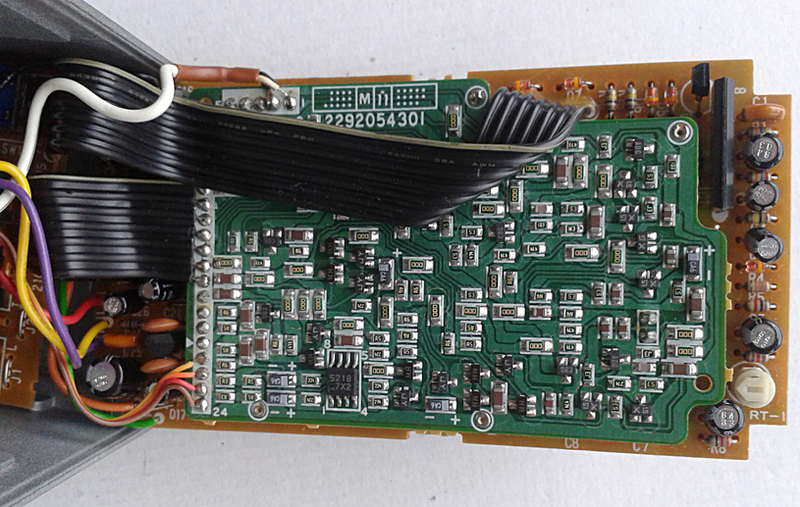 The first one acts more like a boost and the second has asymmetrical clipping diodes on it. 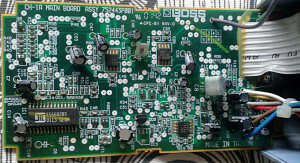 While the driver stages are pretty complex, at least when compared to very old school like tone and level controls, the wow factor doesn’t end there. 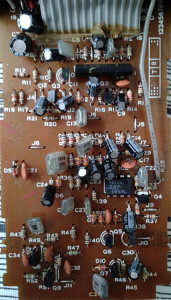 Just take a look at the power supply section in the schematic. 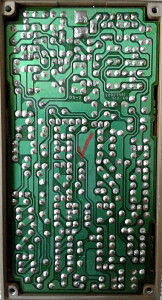 There are two different supply voltages which are balanced by transistors, one for buffers and one for discreet opamps. These two supply voltages have their own vref voltage networks, one for electronic switching reference voltages and other for discreet opamp reference voltage. So yeah. 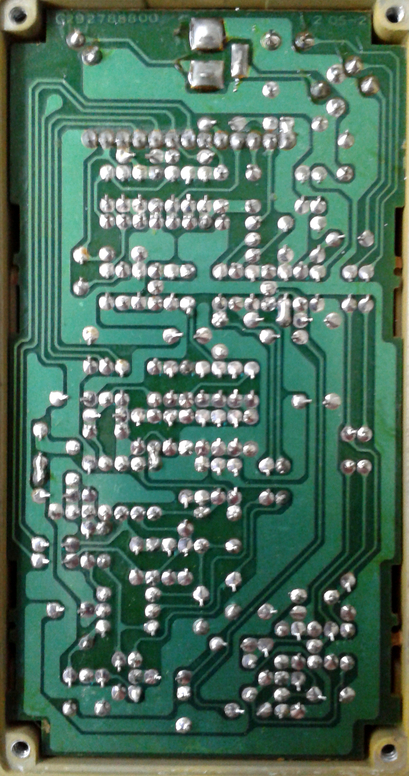 It is pretty complex design for being an overdrive. It does have a nice vintage overall feel to its sound. 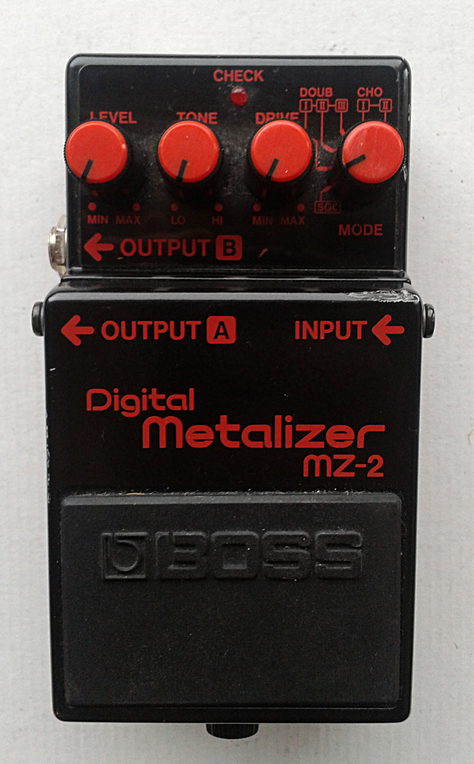 Tone and level controls are well balanced and the gain works pretty well too. Nice driver tones, but with massive mid-honkin’ feel. I’d say this sounds a lot closer to SD-1 than OD-1, without being too close to either one. I’m thinking this may have acted as a base when the engineers were drawing up the BD-2. Sure it sounds ok, but i just don’t see myself using one for anything. The reason being that i find the OD-1 and the SD-1 to simply sound better. And there are always tons and tons of Tubescreamer derivatives which can take this sound on any time of the day. Entries (RSS) and Comments (RSS). 52 queries in 0.242 seconds.